Are you ready to see what's hot this year in commercial interior design? Some of the trends will not surprise you, you see them all around. Looking at these trends below, think about your business branding and the way you are presenting yourself to the public. In our Green News corner, you can see how beautiful your recycled glass can become. Just a quick reminder! If you receive this e-mail, I have met you in person or you have expressed interest in what we do through our website. Please unsubscribe if you do not wish to receive this e-mail. 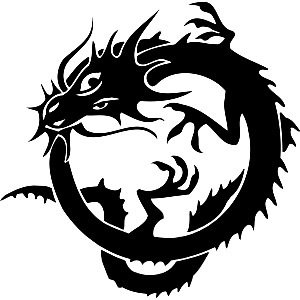 2012 is a Chinese year of the Black Dragon which brings new energy and action into our interiors. So what can you use to achieve positive movement in your interior? See what industry leaders are doing this year. If you missed our last newsletter on What to Choose, Wallpaper or Paint for your walls, look HERE. 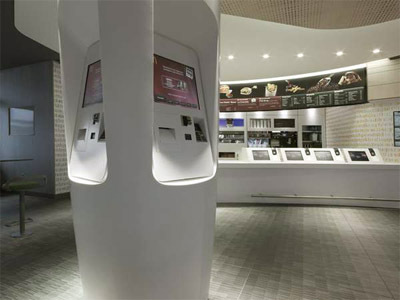 A new children’s eating area, children’s menu, a climbing wall, and technology features like iPads and other interactive games are expected to be in new locations of McDonald's in Europe. 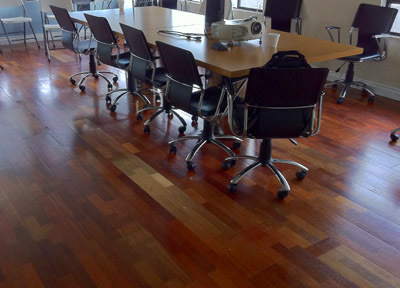 This flooring was taken from a client’s house and placed into an office conference room on another project. To see it, go to AI Center in Kearny Mesa San Diego, CA. This seductively lighted Abercrombie & Fitch store is attempting to lure in older shoppers. P & G Virtual Drugstores recently opened in Prague and are a great way to buy on the go. 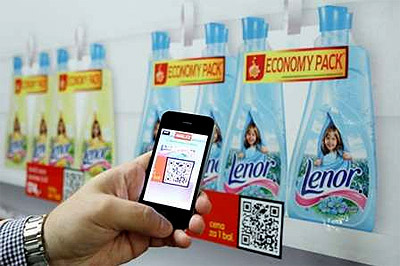 One simply has to use their mobile phone to scan the code, and the groceries will be delivered to their home. When selecting light fixtures, try going a bit outside your comfort zone this year. This industrial looking light fixture by Seyhan Özdemir & Sefer Çaglar (called double octopus) would fit perfectly in most contemporary spaces. Take a look at other finishes and materials which will be a big hit this year HERE. Are you thinking about making architectural changes in your business or home? Contact us HERE! 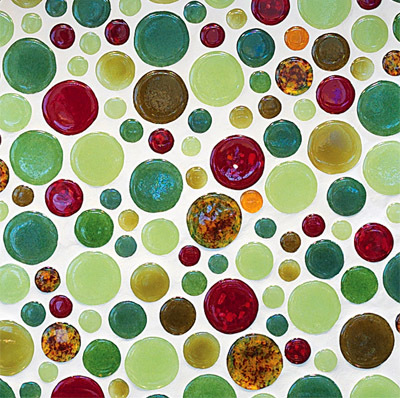 This tile is beautiful and is 100% recycled glass! 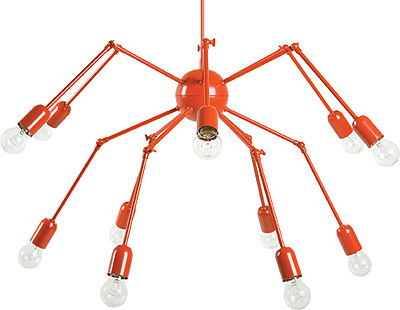 It can be used in any interior, commercial or residential space to spice up the look. Learn more about this unique product HERE.